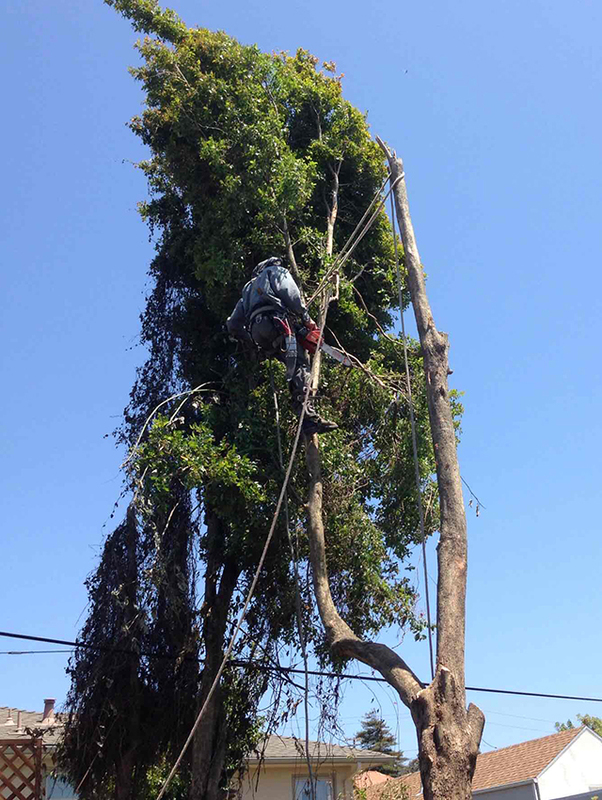 We started the tree removal service in Richmond at 10:00am. I had a 3 man crew assisting with the ground work. 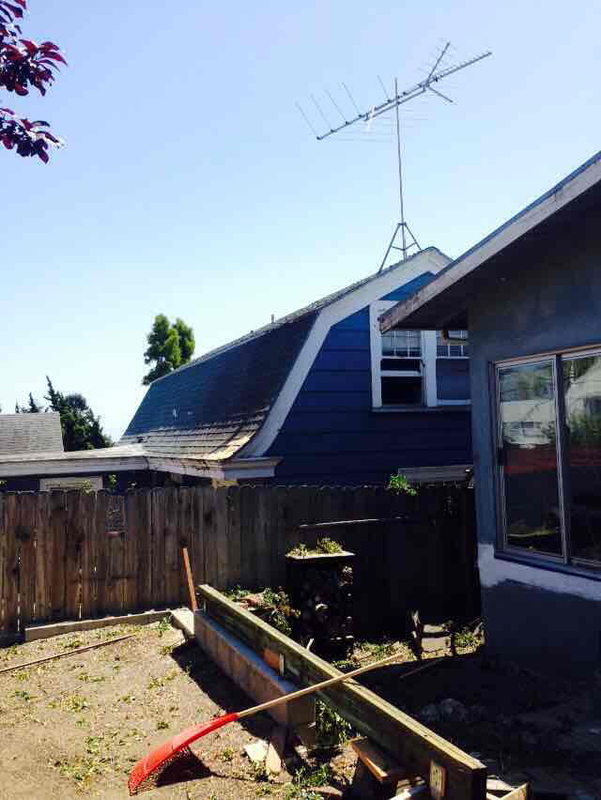 The first two images show the trees located between the two houses. The home owner (blue house) stated that the trees are actually shrubs that were planted back in 1924. I identified them as belonging to the Rosacea family. 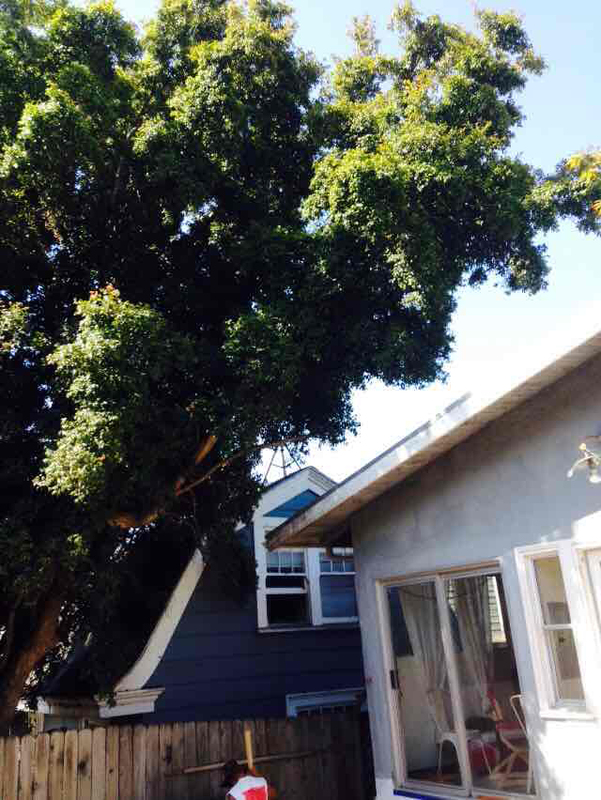 Large branches had grown on top of his roof as well as on top of his neighbors roof. The neighbor allowed us to drag out the branches on his property and stack them in his driveway. I was also able to park my truck and chipper in his driveway. Clients home. Trees on his property. I was able to find the tallest and strongest main branch and tie in. I then located a suitable crotch to attach a lowering rope to lower branches from both rooftops. There was a redwood fence below. There were also windows below on both houses that needed to be protected. 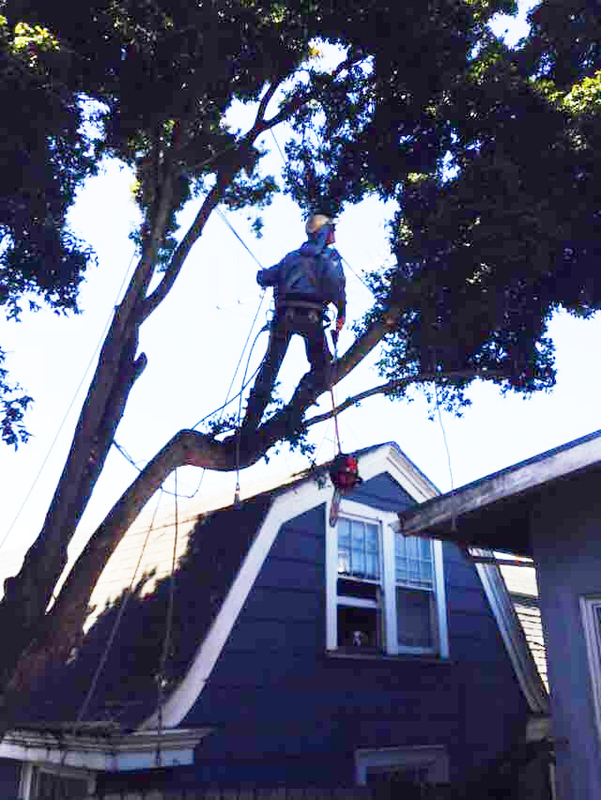 Removing branches over clients home. I removed the branches over the clients roof. 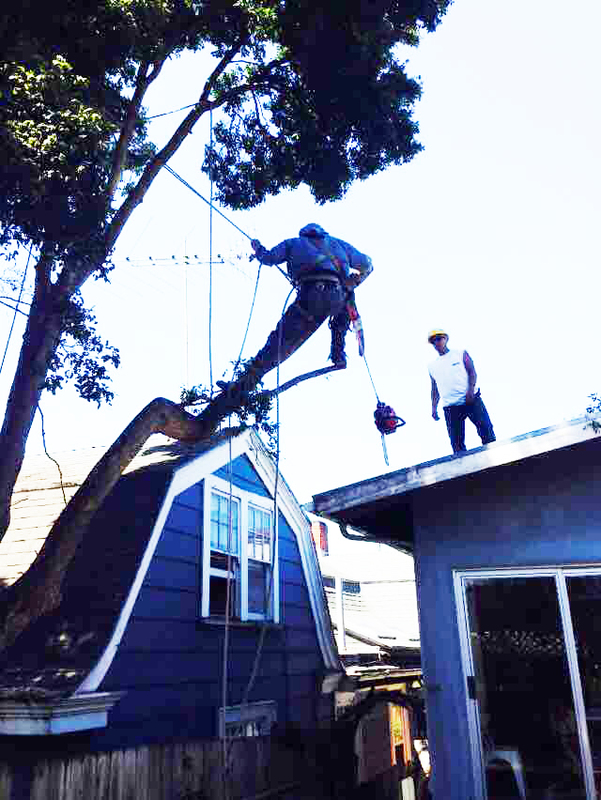 I then placed a tree worker on the neighbors roof to help assist with branch removal. 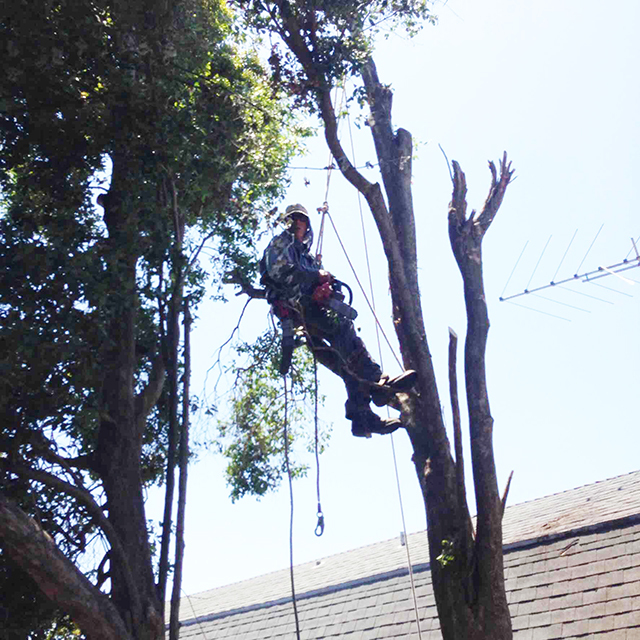 Finishing off tree closest to clients home. 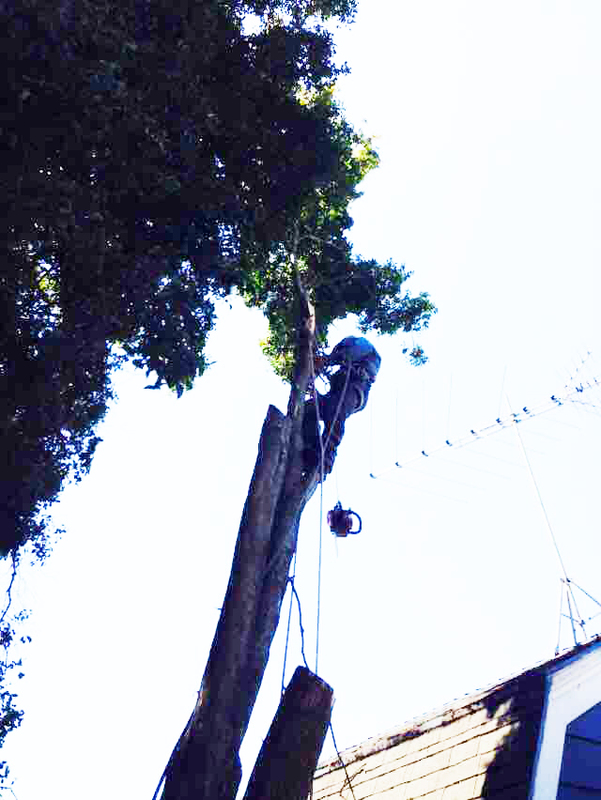 After removing the main tree that had the roof top branches I then climbed the center tree. 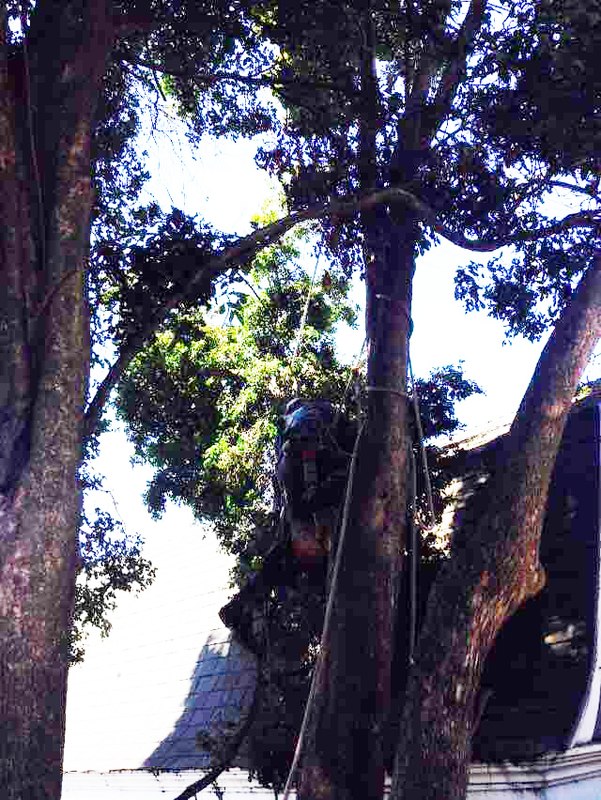 I was able to fall many of the branches into clients backyard with out lowering ropes. 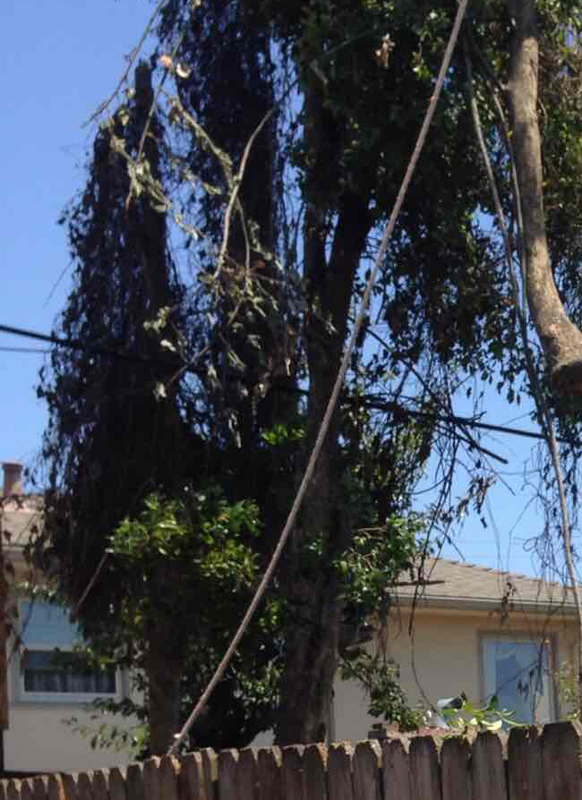 Branches on the neighbors side needed to be lowered with ropes. The final part of the job was to remove the two trees on the main back fence line. There was a communication wire running directly between the two trees. I was able to rope and lower the larger tree. Upon exiting this tree I tied a rope on the top of the last tree. 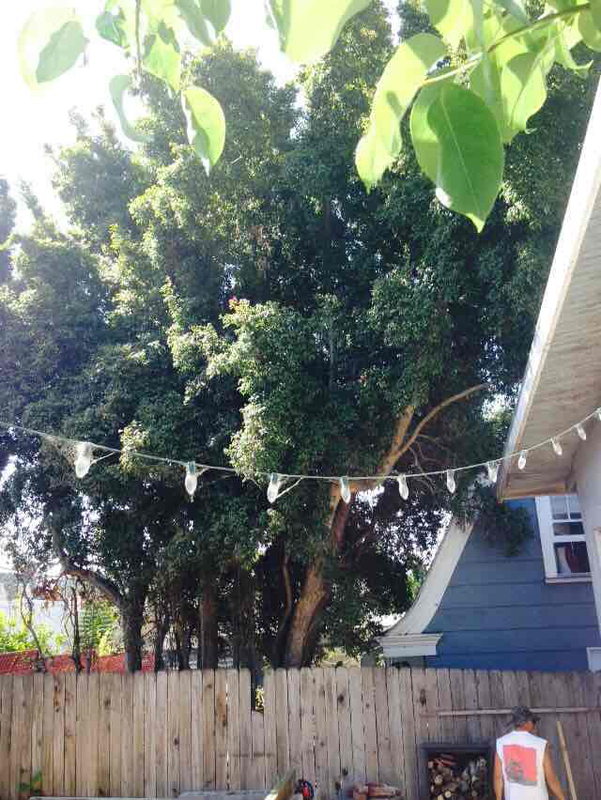 My crew was able to pull this tree over into the clients backyard when I made the bottom cut. My crew removed all the fallen branches. We then cut up all the fallen wood into fireplace size logs for the client. We finished cleaning up and were able to pull out the truck and chipper at 4:00pm. The completed job took 6 hours.